[Port- au – Prince, Haiti- June 16, 2018] Haiti Tech Summit, will feature a series of daily networking mixers, parties and meetups for the 2018 World Cup season. While the sumit close to 100 speakers spread across 18 industry panels from 9am-5pm on June 22nd and 23rd, each day will feature close to 3 hours of lunch roundtables, networking mixer breaks and evening parties. Summit participants can also enjoy full access to World Cup game screenings throughout the event area. Ultimately, the summit will conclude with a Splash Networking and BBQ pool party. Tickets are live via www.HaitiTechSummit.com. For sponsors interested in being invited to the event or included in the next press announcement, please email interest to info@haititechsummit.com. June 15, 2018- [Silicon Valley, USA] In association with global tech week initiatives around the world, the Global Startup Ecosystem (GSE) has announced plans to launch annual tech week programs in emerging market cities from 2018 – 2030. Annual tech week initiatives have quickly become a reputable process for centralizing stakeholders in an ecosystem and showcasing top programs, initiatives, and influencers that are driving tech development within a region. Following the success of major tech week initiatives such as London Tech Week or Nairobi Tech Week- Haiti now joins the global trend. “At GSE, we work with over 140 global partners to accelerate tech ecosystems via digital accelerators and summits and have the platform to encourage more events that bring the ecosystem together more frequently” said Christine Souffrant Ntim, founder of Haiti Tech Summit. On the week of the 18th – 25th June 2018, Haiti like other tech hubs, will launch its official tech week series. Silicon Valley based companies being featured at Haiti Tech Summit will be hosting events across Port Au Prince and we anticipate great programming from local incubator hubs such as Alpha Haiti and Banj, and other tech ecosystem drivers such as Startup Grind Port Au Prince, Startup Week Port au Prince, Haiti Tech Awards, Impact Hub Port au Prince and many more in 2019. Women’s Pioneers Summit: A summit to identify key female leaders and influencers who are driving business, tech and policy within their respective industries or communities. The summit will be an evening workshop event showcasing top women tech groups around the world that local Haitian women can initiate in Haiti as well as a crash personal branding course to teach audience members how to build and scale their personal brands as pioneers. The workshop is one of the most popular sessions in Africa and will be featured for the first time in Haiti for tech week. RSVP Here. Smart City Summit: a comprehensive workshop series to prepare stakeholders for a Smart City Haiti. The evening workshop will go over smart city initiatives that occurred across the Middle East, Asia and Africa and provide exclusive materials on how to build a Smart City hub in Haiti within 3 years or less. This talk was featured at the New York Smart City Summit with policy leaders from over 40 countries and an audience of 3000 people. The workshop training is first come, first served. Limited seating available. RSVP here. Exponential Tech Summit: This historic evening event will be Haiti’s first deep dive workshop on all of the exponential technologies in one place. This intense event will go over the following below. The workshop training is first come, first served. Limited seating available. RSVP here. An overview of Artificial Intelligence, Blockchain, Drones, Nano technology, Virtual Reality Space, Internet of Things and Robotics. Why do these technologies exist and how can you train yourself to become an expert in 3- months for free. An overview on how to build an exponential tech business within 6 months or less. An overview on how to apply exponential technology to problems in Haiti and become a global case study for economic tech development. Haiti Tech Summit Ecosystem Tour in Partnership with Banj in port au Prince where selected speakers and partners of Haiti Tech Summit will go to different part of the nation’s capital to engage with local stakeholders. Haiti Tech Summit 2nd annual event featuring 100 global speakers and Headliners including Jack Dorsey (founder of Twitter) @ Royal Decameron. All hotel passes are sold out. Day passes available here: www.Haititechsummit.com. Location to be announced to RSVPs for each event only. To submit your event to the tech week series, email the team directly at inf@globalstartupecosystem.com. It will go live within 3 hours. About Haiti Tech Week An annual ecosystem gathering of multiple events and programs to highlight topics that can accelerate the country’s ecosystem as well as highlight the region’s top tech initiatives. About Haiti Tech Summit: Haiti Tech Summit brings together thousands of entrepreneurs, investors, digital marketers and creatives under one roof together to address humanity’s greatest challenges via entrepreneurship. It is a part of a 13-year initiative of GSE, which aims to bring centralize top local and global influencers in Haiti on an annual basis to accelerate industry development and ecosystem scaling in Haiti.Tickets to attend the summit, which takes place June 21-23 at the Royal Decameron, are available at www.Haititechsummit.com. About Startup Haiti: Haiti’s central hub for all initiatives within the tech sector. The platform launches in fall 2018 featuring the country’s first national accelerator. (Port-au-Prince, Haiti) June 14, 2018 As a platinum sponsor and lead partner of the 2018 Haiti Tech Summit, the United States Embassy in Haiti is pleased to announce the selection of 25 local entrepreneurs who will be featured at the summit. As part of the Embassy’s on-going efforts to promote entrepreneurship and bi-lateral economic growth, the Embassy works throughout the year to share capacity building skills and widen the professional networks of Haitian entrepreneurs. Participants will meet over one hundred speakers from Facebook, Google, Amazon, and many others. The Haiti Tech Summit is part of a thirteen-year initiative of the Global Startup Ecosystem. The goal of the Summit is to help entrepreneurs in Haiti catalyze innovation in their communities and in their country. Ambassador Sison noted, “We are proud to work alongside the Haitian-America diaspora, some of America’s leading innovation companies, and the Government of Haiti to support Haiti’s youth.” The embassy sponsored Start Up Lab entrepreneurs are 50% women, and represent broad geographic diversity throughout Haiti. In addition to operating the flagship regional exchange program, the Young Leaders of the Americas Initiative focused exclusively on entrepreneurship in the Western Hemisphere, the U.S. Embassy hosted #TechCampOkay, bringing together over 30 entrepreneurs from the Grand d’Anse and Southern Departments. This is the first time that an entity has sponsored such a large amount of participants. Inc Magazine picked up on the momentum around the growing population of tech entrepreneurs in Haiti last year and we hope that more media networks capture the new stories of entrepreneurial innovation evolving out of Haiti. Port-au-Prince, Haïti, le 14 juin 2018 — En tant que sponsor Platinum et partenaire principal de Haiti Tech Summit 2018, l’Ambassade des Etats-Unis en Haïti est heureuse de financer la participation de 25 entrepreneurs locaux qui seront présentés au cours du sommet. Dans le cadre des efforts continus de l’ambassade pour promouvoir l’entrepreneuriat et la croissance économique bilatérale, l’ambassade travaille tout au long de l’année pour partager les compétences de renforcement des capacités et étendre les réseaux professionnels des entrepreneurs haïtiens. Les participants du Start-Up Lab rencontreront plus d’une centaine de conférenciers de Facebook, Google, Amazon et bien d’autres plateformes. Le Haïti Tech Summit fait partie d’une initiative de «Global Startup Ecosystem» (d’écosystème globale de Startup) de 13 années. L’objectif du Sommet est d’aider les entrepreneurs en Haïti à jouer un rôle de catalyseur d’innovation dans leurs communautés et dans leur pays. L’Ambassadeur des Etats-Unis en Haïti, Madame Michele Sison a déclaré « Nous sommes fiers de travailler aux côtés de la diaspora haïtiano-américaine, de certaines des plus grandes entreprises américaines d’innovation et du gouvernement haïtien pour supporter les jeunes d’Haïti ». Les entrepreneurs au Start-Up Lab financés par l’ambassade représentent 50% de femmes, et viennent de diverses régions géographiques du pays. En plus de diriger le programme d’échanges régionaux phare, l’Initiative des Jeunes Leaders des Amériques qui s’est concentrée exclusivement sur l’entrepreneuriat dans l’hémisphère occidental, l’Ambassade des États-Unis a organisé #TechCampOkay, qui a réuni plus de 30 entrepreneurs des départements de la Grand d’Anse et du Sud. La revue Inc Magazine a repris l’élan autour de la population croissante des entrepreneurs technologiques en Haïti l’année dernière et nous espérons que plus de réseaux médiatiques informeront le public sur les nouvelles activités sur l’innovation entrepreneuriale qui se développent hors d’Haïti. [June 8, 2018 Port Au Prince, Haiti] – Haiti Tech Summit- a 13 year initiative to accelerate economic development via tech is back for its second year. In its first year, the summit welcomed 100 global speakers and 500 participants. For its second year the program will welcome 750 participants. Due to demand, the summit’s hotel package offerings at Royal Decameron sold out as of June 1st. Instead of focusing on just local sales for the remaining summit seats, the organization is now tapping into the local hotels to further encourage more international tourism flow into the country- further solidifying its role in accelerating economic development within the tourism sector. 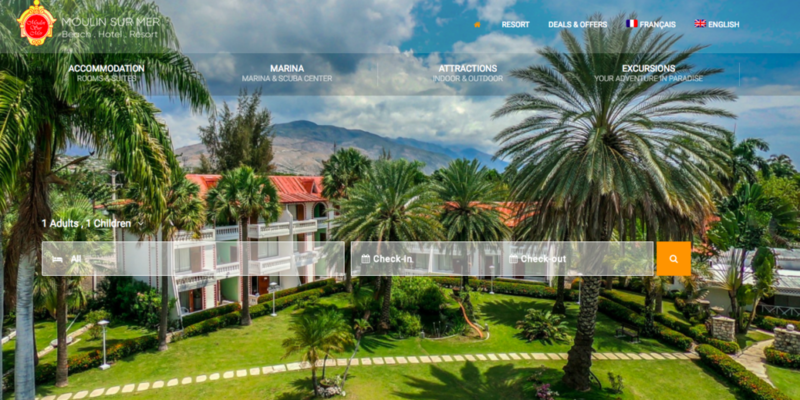 To do this, summit attendees can now book hotels within 30 minutes of event venue once spots fill up at Royal Decameron. Similar to the large economic impact of international events like SXSW in Austin Texas, USA or Web Summit in Lisbon, Portugal- events that drive thousands of internationals into a city- Haiti Tech Summit aims to repeat the same success over the next few years. Expansion to hotels in Port au Prince and other main cities will be made each year. While partnership agreements are not completely final, the organization is soft launching its recommendation of the top 3 hotels that are available for booking. Tickets to access the event on June 21-23, 2018 are here. Haiti Tech Summit, founded by Forbes 30 Under 30 Entrepreneur, Mother and Wife, Christine Souffrant Ntim, is a 13- year initiative of the Global Startup Ecosystem (GSE) which brings together hundreds of entrepreneurs, investors, digital marketers and creatives together in to Haiti to accelerate tech, innovation and economic development within the country. In 2017, the first black republic hosted 100 global speakers from around the world. Companies represented included Silicon Valley giants such as Google, Facebook, Uber, Airbnb, Facebook, Headline speakers included the President of Haiti, His Excellency Jovenel Moise, Venture Capitalist investor of Airbnb and Facebook Ben Horowitz, and celebrity influencers such as Vicky Jeudy, Netflix Orange is the New Black, Michael Brun and J Perry. The summit will return on June 21-23, 2018 at Royal Decameron and will once again partner with media representatives from Forbes, Inc Magazine, Fast Company, Black Enterprise, and 40+ media outlets. (Port-au-Prince) The United States Embassy in Haiti announces its sponsorship of the 2018 Haiti Tech Summit, June 21 – 23, 2018. Haitian entrepreneurs interested in learning how to incorporate technology into their business model and marketing strategies are encouraged to apply now through May 30, 2018 at goo.gl/35YuL9 As part of the Embassy’s on-going efforts to promote entrepreneurship and bi-lateral economic growth, the Embassy is seeking representation from creators and innovators across Haiti’s ten departments to participate. Participants will be able to meet over one hundred speakers from Google, Airbnb, LinkedIn, Uber, and many others. The Haiti Tech Summit is part of a thirteen-year initiative of the Global Startup Ecosystem. The goal of the Summit is to help entrepreneurs in Haiti catalyze innovation in their communities and in their country. In April 2018, the U.S. Embassy hosted #TechCampOkay, bringing together over 30 entrepreneurs from the Grand d’Anse and Southern Departments with local leaders and experts from the diaspora, IDEO, and U.S. Embassy exchange program alumni. The Embassy regularly engages the regional Chambers of Commerce as well as the American Chamber of Commerce in pursuit of this key priority. [Port- au – Prince- April 30, 2018] Haiti Tech Summit, founded by Forbes 30 Under 30 Entrepreneur, Christine Souffrant Ntim, is a 13- year initiative of the Global Startup Ecosystem (GSE) which brings together hundreds of entrepreneurs, investors, digital marketers and creatives together in to Haiti to accelerate tech, innovation and economic development within the country. The summit organizers announced headline speaker Jack Dorsey at the 2018 Annual Haiti Tech Summit Ecosystem Meeting with the country’s top government officials, private sector executives, media influencers and summit sponsors. In 2017, Haiti hosted 100 global speakers from around the world. Companies represented included Silicon Valley giants such as Google, Facebook, Uber, Airbnb, Facebook, Headline speakers included the President of Haiti, His Excellency Jovenel Moise, Venture Capitalist investor of Airbnb and Facebook Ben Horowitz, and celebrity influencers such as Vicky Jeudy, Netflix Orange is the New Black, Michael Brun and J Perry. The summit will return on June 21-23, 2018 at Royal Decameron and will once again partner with media representatives from Forbes, Inc Magazine, Fast Company, Black Enterprise, and 40+ media outlets. Tickets are live via www.HaitiTechSummit.com. For sponsors and partner inquiries please email interest to info@haititechsummit.com. About Twitter: Twitter is an online news and social networking service on which users post and interact with messages known as “tweets”. About Square: Square, Inc. is a financial services, merchant services aggregator, and mobile payment company based in San Francisco, California. About Global Startup Ecosystem: Global Startup Ecosystem (GSE): is a central hub designed to educate, inspire and prepare tech communities for the digital age. GSE summits are annual conferences held around the world to connect, inform, and inspire stakeholders within an ecosystem to leverage technology that ensures impact. Summits are a major focal point for bringing together government officials, business leaders, startup innovators, celebrities and key influencers in one place. [Port- au – Prince- April 24, 2018] Haiti Tech Summit, founded by Forbes 30 Under 30 Entrepreneur, Mother and Wife, Christine Souffrant Ntim, is a 13- year initiative of the Global Startup Ecosystem (GSE) which brings together hundreds of entrepreneurs, investors, digital marketers and creatives together in to Haiti to accelerate tech, innovation and economic development within the country. The summit organizers will host an invite only annual gathering on April 26, 2018 to share the 2017 Haiti Tech Summit impact results with the country’s top government officials, private sector executives, media influencers and summit sponsors. In 2017, the first black republic hosted 100 global speakers from around the world. Companies represented included Silicon Valley giants such as Google, Facebook, Uber, Airbnb, Facebook, Headline speakers included the President of Haiti, His Excellency Jovenel Moise, Venture Capitalist investor of Airbnb and Facebook Ben Horowitz, and celebrity influencers such as Vicky Jeudy, Netflix Orange is the New Black, Michael Brun and J Perry. The summit will return on June 21-23, 2018 at Royal Decameron and will once again partner with media representatives from Forbes, Inc Magazine, Fast Company, Black Enterprise, and 40+ media outlets. Thank major local 2017 partners such as the Office of the Presidency and Ministry of Tourism; 2017 sponsors such as Royal Decameron, Centre for Facilitation of Investments (CFI), Conatel, Central Bank, French Chamber of Commerce, Fotokonbit, and 2017 local media partners Chokarella, Trace Media, Loop Haiti, Le Nouvelliste, Ayibo Post, Metropol, Radio Caribe, etc and 2017 vendors such as Haiti Print and Sign (HPS) and Konfetti decor. Announce the first set of 2018 headline sponsors such as the US State Department and the role of the Office of the Presidency who will be launching the country’s first national incubator for entrepreneurs this year. Provide the insights from the 2017 Haiti Tech Summit Impact report which covers the local and global impact made by the inaugural launch of the summit for Haiti’s business-tech ecosystem. Hosting the event in Haiti not only aims to revitalize economic activity in the country but to also provide a new narrative for Haiti and emerging markets. “Haiti is not open for business. Haiti is open for disruption” Christine Ntim (Founder). Tickets are now live via www.HaitiTechSummit.com. For sponsors interested in being invited to the event or included in the next press announcement, please email interest toinfo@haititechsummit.com. About Haiti Tech Summit: Haiti Tech Summit brings together thousands of entrepreneurs, investors, digital marketers and creatives under one roof together to address humanity’s greatest challenges via entrepreneurship. It is a part of a 13-year initiative, which aims to bring centralize top local and global influencers in Haiti on an annual basis to accelerate industry development and ecosystem scaling in Haiti. Haiti Tech Summit Annonce Le 2017 Rapport D’Impact Durant le Pre-Summit En Compagnie Du Top 100 Des Influenceurs d’Haïti. [Port- au – Prince- April 20, 2018] Le Haïti Tech Summit fondé par Christine Souffrant Ntim, une entrepreneur nommée dans la liste des Forbes 30 Under 30, épouse et mère d’une petite fille, est une initiative de 13 ans du Global Startup Ecosytem (GSE) qui a pour but de rassembler de nombreux entrepreneurs, investisseurs, distributeurs digitals et créateurs en Haïti afin d’accélérer la technologie, l’innovation et le développement économique du pays. Les organisateurs du sommet tiendront un événement accessible seulement sur invitation le 26 Avril 2018 afin de partager l’impact et les résultats du Haïti Tech Summit 2017 avec les membres officielles du gouvernement, les cadres du secteur privé, les responsables médiatiques et les sponsors du sommet. En 2017, la première république noire a accueilli 100 internationales intervenants qui provenaient du monde entier. Les entreprises représentées comprenaient des géants de Silicon Valley comme Google, Facebook, Uber et Airbnb, les intervenants de calibre inclurent le President d’Haiti Son Excellence Jovenel Moise, l’investisseur de Airbnb et Facebook Ben Horowitz, et des célébrités influentes comme Vicky Jeudy, star de Orange Is The New Black, Michael Brun et J Perry. Le sommet retournera entre le 21 Juin et le 23 Juin 2018 au Royal Decameron et s’associera encore une fois avec les représentants médiatiques venant de Forbes, Inc Magazine, Fast Company, Black Entreprise et plein d’autres. La liste d’invités sera constituée des sponsors du sommet en 2017, des intervenants, des associés et aussi des partenaires des initiatives de 2018. Remercier les majeurs partenaires locaux comme le cabinet du Président et du Ministère du Tourism; les sponsors de 2017 comme Royal Decameron, Centre for Facilitation of Investments (CFI), Conatel, Central Bank, French Chamber of Commerce, Fotokonbit; les partenaires médiatiques 2017 tels que Chokarella, Trace Media, Loop Haiti, Le Nouvelliste, Ayibo Post, Metropol, Radio Caribe, etc; et les marchands associés 2017 comme Haïti Print and Sign (HPS) etKonfetti decor. Annoncer la première série de sponsors tels que le Département d’Etat des Etats Unis d’Amérique et discuter le rôle du cabinet du Président dans le lancement en Haïti du premier incubateur national pour entrepreneurs cette année. Fournir des informations provenant du rapport du 2017 Haiti Tech Summit qui couvrent l’impact local et international fait par l’inaugural lancement du sommet pour les industries de business et technologie en Haïti. Annoncer la première série en 2018 de gros titre intervenants, célébrités, et membres officiels du gouvernement tel que Jack Dorsey (Fondateur de Twitter). La tenue de l’événement en Haïti non seulement a pour but de revitaliser l’activité économique du pays, mais aussi fournir un nouveau récit d’Haïti et des marchés émergents. “Haïti n’est pas ouvert pour du business. Haiti est ouvert à la perturbation et l’innovation” Christine Ntim (Fondateur). Les tickets sont maintenant accessibles sur www.HaitiTechSummit.com. 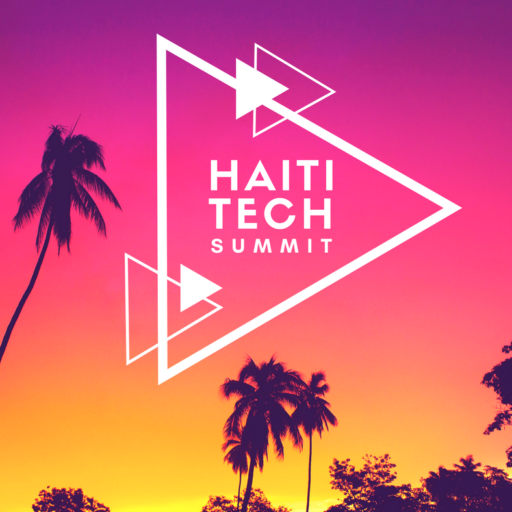 Pour les sponsors intéressés par une invitation à l’événement ou par une inclusion dans le prochain communique de presse, envoyez nous un email à info@haititechsummit.com. A Propos D’Haiti Tech Summit: Le Haiti Tech Summit rassemble de nombreux entrepreneurs, investisseurs, distributeurs digitals et créateurs sous un toit afin d’adresser les plus importants défis de l’humanité à travers l’entrepreneuriat. Cela fait partie d’une initiative de 13 ans de GSE, qui a pour but d’unir les locaux et internationaux influenceurs en Haïti chaque année de sorte à accélérer l’industrie de développement en Haïti. Call for Applications: Haiti Tech Summit’s Startup Lab Brings Top Experts from Twitter, Google, Linkedin, Amazon, Uber and More To Mentor Startups at the Event. [San Francisco, USA- March 15, 2018] Haiti Tech Summit, a 13-year initiative of GSE, which brings together hundreds of entrepreneurs, investors, digital marketers and creatives to Haiti to accelerate tech, innovation and economic development within the country, have just opened applications for the event’s first Startup Lab – a 1:1 mentorship opportunity with global experts. Building on the first annual Pitch Competition of the 2017 Haiti Tech Summit, which engaged entrepreneurs from across the Caribbean for a chance to win a top prize of full coverage to Singularity University’s GSP program at NASA Ames in Silicon Valley, the event is expanding its scope to support the growth of entrepreneurs during the Summit itself. The first annual Startup Lab will feature a comprehensive 2-hour speed mentorship session that allows entrepreneurs to leverage the wisdom in the room and build relationships that will continue beyond the Summit. Spearheaded by the Summit’s Executive Director, Naisha Silva, in partnership with their Head of Experience & Branding, Shaina Silva, the Startup Lab will feature an intensive 2-hour speed mentorship session with global experts hailing from Twitter, Google, Linkedin, Amazon, Uber, Slack, mPesa, and more. Topics of mentorship include, but are not limited to, go-to-market strategy, exponential technology, hiring and performance management, product management, UX design and finance/VC fundraising. Entrepreneurs from across the 10 departments in Haiti are invited to apply by April 29th. Only a select few entrepreneurs will be selected, and the selection criteria is as follows: startup based in 1 of the 10 departments in Haiti, less than 5 years old, have a valid MVP and proven traction. Selected Startups will be announced prior to the Haiti Tech Summit and featured across Haiti Tech Summit media communication channels during and after the event. Of those selected for the Startup Lab, a select group will be invited to participate in this year’s Pitch Competition for a chance at the Grand Prize. Haiti Tech Summit will return for its 2nd year on June 21-23, 2018 at Royal Decameron with 100 global speakers and top partners from around the world. Tickets can be purchased online and inquiries for partnership can be directed to the managing team at info@haititechsummit.com. [New York, USA- March 20, 2018] Haiti is to host 100 global speakers and become the largest tech event in the Caribbean on June 21-23, 2018. The summit closed a media partnership with Black Enterprise Magazine to reach a global audience of African Americans and influencers of the African Diaspora who are pioneers, entrepreneurs and innovators in their respective fields. Tickets to attend the summit are now live via www.haititechsummit.com. About Haiti Tech Summit: Haiti Tech Summit brings together hundreds of entrepreneurs, investors, digital marketers and creatives under one roof together to address humanity’s grandest challenges via technology and entrepreneurship. It is a part of a 13-year initiative of the Global Startup Ecosystem-the first and largest digital accelerator that accelerates 1000 companies to market annually across 190+ countries entirely online.